Paris could lead residential market growth among the globe’s top cities in 2018 with international buyers, particularly from the United States, viewing the prime housing sector favourably. The forecast from Knight Frank experts around the world also suggest that Singapore and Geneva could be the most improved markets next year with price growth of 5% and 3% respectively. In particular the firm’s outlook report suggests that Geneva, off limits for non-resident buyers, offers safety, privacy and unrivalled schools putting it high on the list of wealthy families looking to relocate. 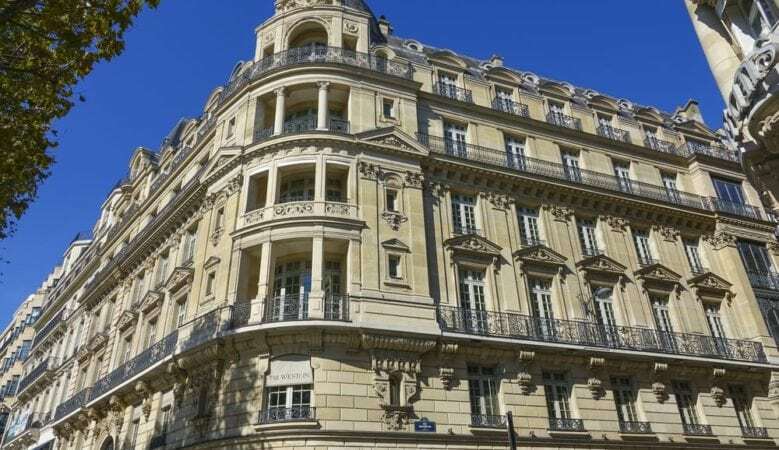 But it is Paris, a market that has struggled to see strong price growth in recent years, that is benefiting from the improved economic outlook for the Eurozone with prices set to rise by up to 9%. The French capital is also back on the radar of global investors. Indeed buyers from the US, the Middle East and other part of Europe are looking to buy. Dubai is expected to see modest growth in 2018, after weaker performance during the recent market cycle. However, the report points out that Government investment in the economy and infrastructure ahead of Expo2020 are helping to attract more employment, driving demand higher. Hong Kong, with ongoing demand from mainland China is likely to post the strongest growth of major Asian urban markets during 2018 with a 7% rise by the end of 2018. In central London, the forecast is for prime prices to rise marginally by 0.5% in 2018, with cumulative price growth over the next five years reaching 13.1%. ‘While London’s fortunes will continue to be buffeted by taxation and the outlook for the pound, Brexit and its impact on employment will be the overriding issue to watch,’ said Kate Everett-Allen, head of international residential research at Knight Frank. ‘While uncertainty on this pivotal issue means we are not expecting prices to rise significantly in 2018, we do believe that recent price falls will help transactions to continue to pick up from the lows they hit in 2016,’ she added. In North America, Los Angeles is likely to see a continuation of growth with 3% forecast for next year which the report says is reflective of a supply and demand imbalance. The prime market in both New York and Miami are still seeing the impact of higher inventory volume and are likely to replicate London’s largely flat price performance in 2018. Vancouver is the only city where experts predict that prime residential prices will soften in 2018 but even here the decline is marginal at 2.5%. The introduction of a foreign buyer tax in 2016 along with tighter capital controls in China have influenced demand. Berlin is also high on global buyer wish lists, attracting interest from investors from the US, the UK, Turkey and China. They are attracted to its dynamic and youthful profile, its robust economy and expanding tenant demand. Indeed, only 15% of properties are owner occupied in the city. Across all the markets tracked, Chinese and US buyers were reported to be amongst the most active applicants globally but for different reasons. In China’s case, the strength of interest comes despite the ramping up of capital controls and amid tighter macro prudential measures at home. In contrast, for US buyers, rising employment, an upbeat economic outlook and the strength of the US dollar are behind the growing appetite for international real estate.